An injury-time David Syers goal completed a tremendous comeback by Doncaster and gave them a 3-2 Capital One Cup victory over Hull City. It was a cracking cup tie which turned into a typical game of two halves. Hull dominated in the first as Rovers failed to get to grips with the quality of their passing and were left chasing shadows. The Tigers snatched the lead inside 30 seconds when Rovers failed to deal with a left-wing cross from Joe Dudgeon and Aaron Mclean controlled the ball superbly before firing home. And the hosts were rocked again when a free-kick from Tom Cairney rebounded off the crossbar in the 10th minute and Jay Simpson reacted quickest to volley home from close range. But the home side were given a lifeline with a goal out of the blue in the 30th minute when Syers struck a terrific 25-yard volley into the net after James Coppinger had headed the ball down. 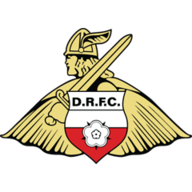 Doncaster looked a different side in the second half and levelled the scores in the 57th minute when Rob Jones headed home a right-wing cross from Coppinger. 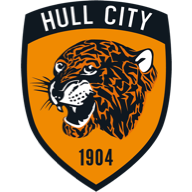 Hull were reduced to 10 men in the 79th minute when substitute Paul McKenna was sent off for aiming a kick at Jones in an off-the-ball incident and Rovers cashed in when Syers volleyed home a right-wing cross from Coppinger deep into stoppage time.